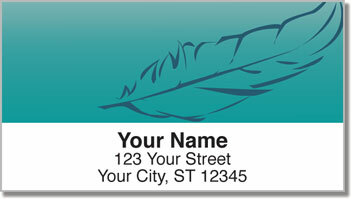 Looking for return address labels that are simple and easy on the eyes? Try this delightful selection to relieve the burden of preparing your outgoing mail by hand. The minimalistic design features an attractive illustration of a single feather in four color choices. It's an artistic finishing touch with the perfect amount of style. 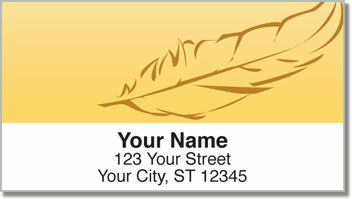 These labels don't scream for attention, but everyone on your mailing list will notice the polished personalization. Because these are self-adhesive labels, you'll never have to scribble out your name and address on another envelope ever again. Just peel and place! 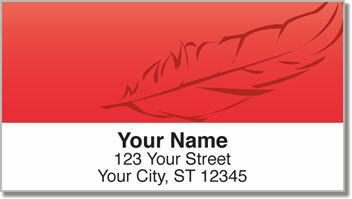 Get your very own Feather Address Labels right now! Complete your order with a set of matching personal checks.